i have known jessica for a very long time! she was a student in the small group i used to lead when she was in middle school + high school. i have photographed her senior portraits, she has been in a ton of behind the scenes tutorials videos for me, and so much more. 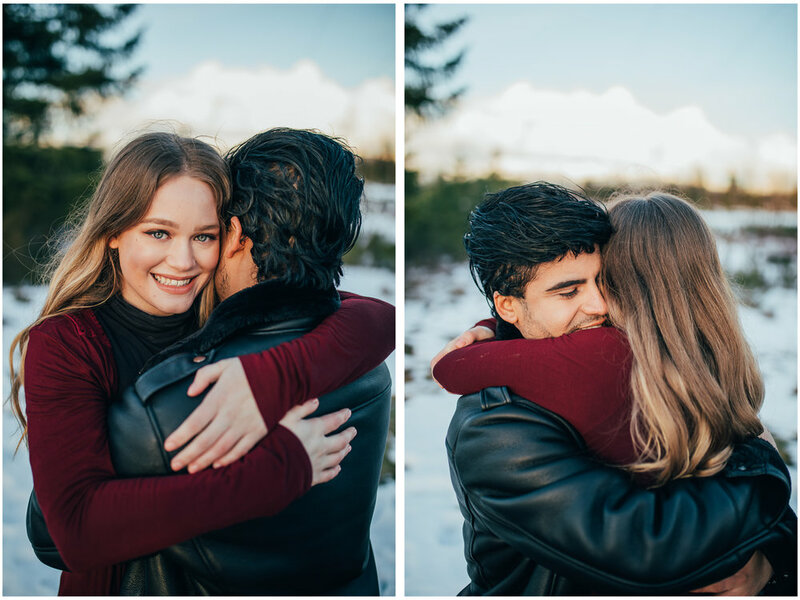 when i was in seattle visiting from new york city she booked a couple portrait session as a gift to her boyfriend for valentine’s day! for the photographers wondering, these images were shot on a canon 5d mark iv + sigma 35mm art lens during beautiful golden hour. the snow created the most perfect natural reflection and really amped up the dreamy golden hour lighting situation. you might recognize this location from julie + kurt’s wedding anniversary photoshoot. click here to view my different portrait packages and here get in contact with me to schedule yours!